8" TOUCH SCREEN SAT NAV SYSTEM! FULL BLACK LEATHER WITH HEATED SEATS! EXCELLENT ECONOMY 62 AVG MPG! 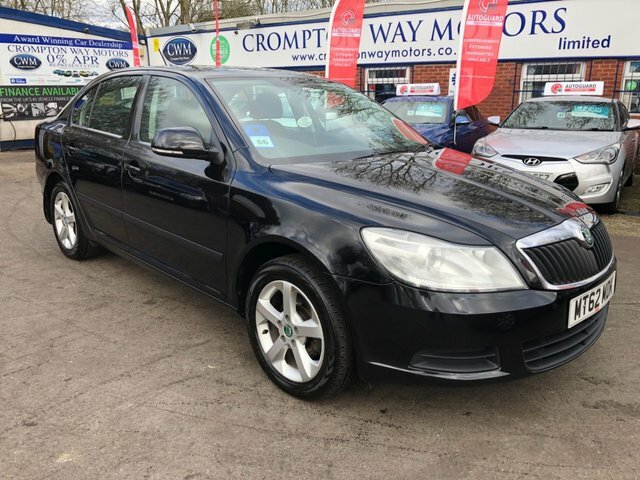 Get a great deal on a used Skoda for sale in Bolton when you come to Crompton Way Motors Limited. Pay us a visit today to browse the latest range of pre-owned Skoda models available, from economical hatchbacks through to executive saloons and crossovers with character. Find yourself behind the wheel of a used Skoda Citigo and find out how much fun you can have in the urban playground. Alternatively, discover whether the Skoda Yeti with its sturdy looks and practical nature is the car for you. View our complete line-up of used Skoda models for sale in Bolton here on the website and feel free to contact the team to find out more. Finance is available to UK residents aged 18 years or older, subject to status. Terms & Conditions apply. Indemnities may be required. Other finance offers may be available but cannot be used in conjunction with this offer. We work with a number of carefully selected credit providers who may be able to offer you finance for your purchase, commission may be received. We are only able to offer finance products from these providers. Postal Address: Crompton Way Motors Limited, 8 Crompton Way, Bolton, Greater Manchester BL2 2SD. Find contact details here. Crompton Way Motors Limited is authorised and regulated by the Financial Conduct Authority, FRN: 648881. All finance is subject to status and income. Written Quotation on request. We act as a credit broker not a lender. We work with a number of carefully selected credit providers who may be able to offer you finance for your purchase. We are only able to offer finance products from these providers.